It’s no secret that more and more people are spending more and more time indoors. It’s also true that more than fifty percent of global citizens live in urban – rather than rural – settings. Interacting with nature and the great outdoors, however, can improve well-being. Some studies suggest that incorporating elements of nature into workspaces can significantly increase productivity and well-being. Far from being a design trend, incorporating biophilia-related design elements can fundamentally enhance your employee’s vitality and productivity. 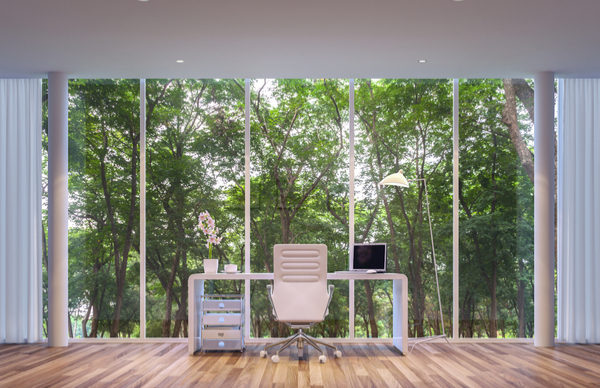 Research reveals that incorporating nature into workspace design can promote healthier work environments that better nurture employees. Nature can encourage a peaceful mindset that reduces stress while invigorating creativity. An aesthetic that celebrates local distinctiveness and helps instill grounding in place and community. Nature guides us; allow a professional office designer to guide your office toward nature’s soothing effects. National Project Group is here to help you discover the calming effects of biophilia. We have over three decades of experience helping employers like you re-imagine their offices. At NPG, we have a vast selection of office furniture and design elements that embrace nature’s bounty and beauty. For professional help with your biophilia journey, give us a call at 800-821-3522 or send us an email through our online contact form today.